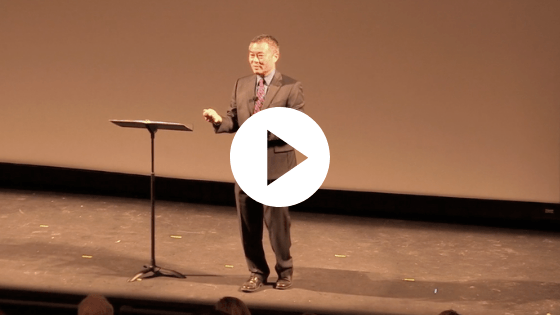 Santa Barbara Unified School District Superintendent Cary Matsuoka reported positives, negatives, and future plans during his annual State of Our Schools presentation, hosted by the Santa Barbara Education Foundation. 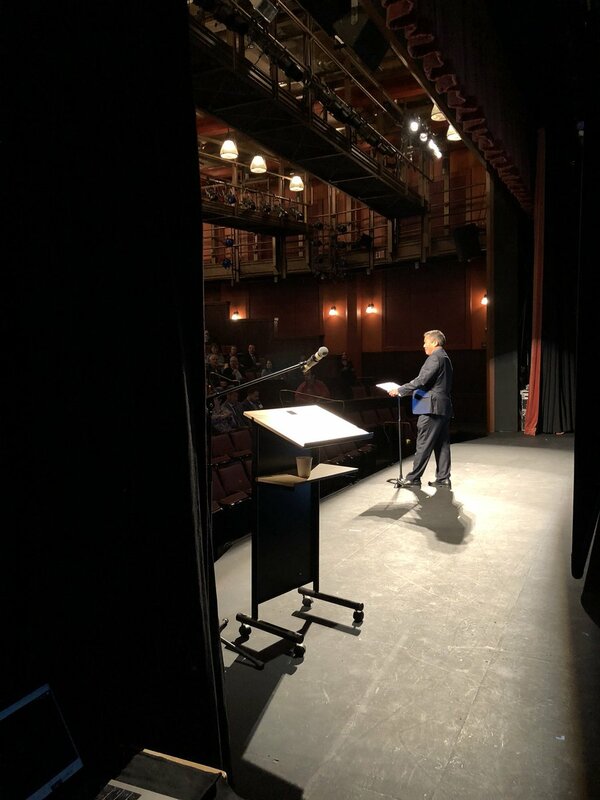 Speaking to a packed house at the New Vic Theater, Matsuoka focused more on general trends than specific data and responded to attendee questions as well. Matsuoka noted that the previous year included unique challenges, including fires, the debris flow, and a period of multiple suicides. The District responded by enhancing its mental health services embedded in all seventeen District schools. He said that financial support from public and private donors played a large role in support of this effort. With respect to positive general trends, Matsuoka reported that the district’s highest performing high school students are scoring as well on standardized tests as the State’s highest performing high schools. “Our high school’s academics are second to none,” he said. He also noted that more than 1,400 Santa Barbara Unified graduates have enrolled at SBCC in the last two years. He recognized City College’s Promise Program, which enables local high school graduates to attend SBCC for two years at no charge, as open doors to higher education without emerging under piles of debt. Turning to the future, Matsuoka suggested that the District’s long-term focus is succinctly characterized in its brand new mission statement: “We are preparing students for a world that has yet to be created.” Quoting a U.S. Department of Labor report that “sixty-five percent of our kindergarteners will fill jobs that do not exist today,” Matsuoka explained the need of the District to anticipate the world and workplace of the future, in which artificial intelligence will impact business and medicine. “The District,” he said, “needs to teach students to redesign their lives, and to communicate, collaborate, and problem solve.” He also extolled the increasing importance of life-long learning. In terms of practical expressions of the District’s mission, Matsuoka pointed to a focus on fundamental literacy with a goal of every student reading at grade level by the end of third grade. He reported that the District is constructing a “balanced literacy” program integrating skills in reading, speaking, and writing that it hopes to have in place within three years. Last year, the District commenced a research-based pilot program targeting students exhibiting characteristics of Dyslexia at Harding Elementary School. Funded by the Santa Barbara Education Foundation and headed by Literacy Specialist Claire Krock, the program produced very positive results. Matsuoka announced the District has expanded the program to Monroe Elementary and McKinley Elementary Schools this year, and it plans to get the program into all elementary schools next year. At the secondary schools level, Matsuoka noted that the School Board’s recent approval of a mandatory course in Ethnic Studies may prompt the expansion to a seven-class schedule at Dos Pueblos and Santa Barbara High Schools (San Marcos High School’s block system already enables an eight-class schedule). “The six period day has become a big constraint,” he said. Matsuoka also indicated a desire to increase opportunities for “competency-based learning,” a framework enabling students to go at speeds consistent with their varying individual abilities. “We are going to begin experimenting with competency-based learning,” he promised. There has been much news coverage of the District’s acquisition of the U.S. National Guard Armory property adjacent to Santa Barbara Junior High School. Less known, noted Matsuoka, is a large property in the Hidden Valley area of town that the District plans to develop into an outdoor learning space focused on environmental sustainability and farm-to-table processes. Responding to another question about bilingual education, Matsuoka called the issue an intersection of literacy, language, and culture. “We have had preliminary conversations about the expansion of dual immersion,” he said, noting the District’s sole existing dual immersion program at the Adelante Charter School. He said the District is also exploring how to integrate social-emotional learning frameworks with core learning. The Santa Barbara Education Foundation, which hosts the State of Our Schools presentation every year, is a non-profit founded over 30 years ago by parents to raise funds to restore after-school music programs. More than two million dollars now flow from or through the Foundation every year in furtherance of its mission to enhance educational opportunities and outcomes for all SBUSD students. Representatives of the SBUSD, including the Superintendent and a Board Member, serve as ex-officio non-voting members of the Education Foundation to help inform the Foundation and coordinate initiatives involving the District. The Foundation operates independently from the district, however, and historically has played a significant role influencing District programs, objectives, and strategies, as well as providing programs unconnected to the District that address areas of local student need and interest.